I am a professional UI/UX, Website and Brand Designer with overall 10 years experience in my field. I am experienced and multi-faceted graphic artist who is both flexible and efficient. I pride myself on working effectively, quickly and with a sense of style and purpose. "Outstanding designer, great ideas, quick responses, very easy to work with! " "The design exceeded my expectations and i'm very satisfied. Thank you. " "Always fantastic work. Can't recommend highly enough." 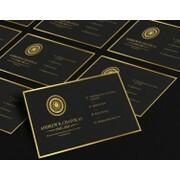 "Excellent aesthetic, professional communication, iterations to the point. Highly recommended." "Very professional and reliable designer, I'm 100% satisfied with his work"
"If you're looking for a designer who "gets it' by following your design brief, then effortlessly making tweaks and adjustments to make your initial design ideas EVEN BETTER then look no further than Luminous eye. I will definitely use them for upcoming..."
"I'm totally satisfied. LuminousEye is a very creative designer. At times I thought he was reading my mind." "LuminousEye was very easy to work with and sent revised options very quickly. Most importantly the .psd's are very clean and layers are very well organized. I would be happy to work with LuminousEye again in the near future." "Great Designer. Offered great initial designs , and great ideas for improvement. Always willing to try something to improve the design"
"Ahmadullah was a great partner in crime, the original concept was really great and he worked in collaboration with me to improve it, providing me a number of options that allowed me to visualize the look and feel and iterate as needed. I hope to work w..."
"I am very pleased with my new website design and I would highly recommend this designer. LuminousEye was very responsive and prompt with all design modifications I requested throughout the entire contest. I was also very happy that the .psd layers wer..."
"Fantastic design! Really nailed it!" "These guys were virtually the only one's that recognised the design brief and produced what I asked for. Fast turn around on design changes. Excellent service and would recommend them to anyone." "Absolutely fantastic designer. He's done us a great original design that works really well for us. He is very responsive to comments and comes back quickly with changes. I can't recommend him enough." "great design and helped with some changes even after the contest!" "nice work. fast turnaround. thank you"